Entries tagged with “Syddah Essop”. 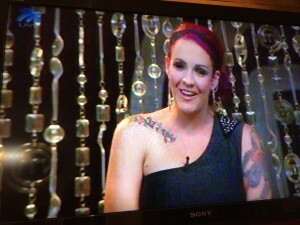 MasterChef SA Season 3 episode 13: Sweet Treat; Penny Fitchet spiced out of Elimination Test! Episode 13 of the third Season of MasterChef SA continued its location in Mauritius, and the creators of the two weakest dishes in episode 12, being Penny Fitchet and Roxi Wardman, were to be pitted against each other in an Elimination Test. 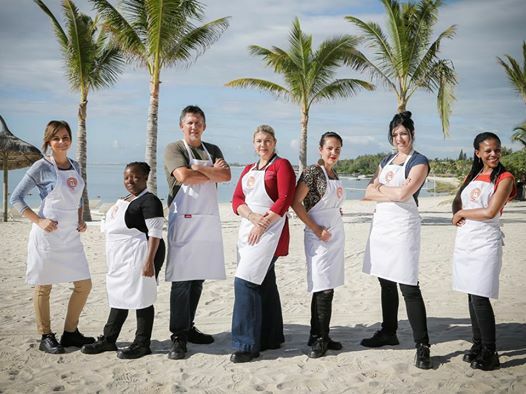 The five successful Finalists from episode 12 received a sweet reward, being a MasterClass in Mauritian sugar by the Long Beach Executive Pastry Chef Sandra Scioli. She showed them the different types of sugars produced in Mauritius, and which sugars are better to use for different types of baking. 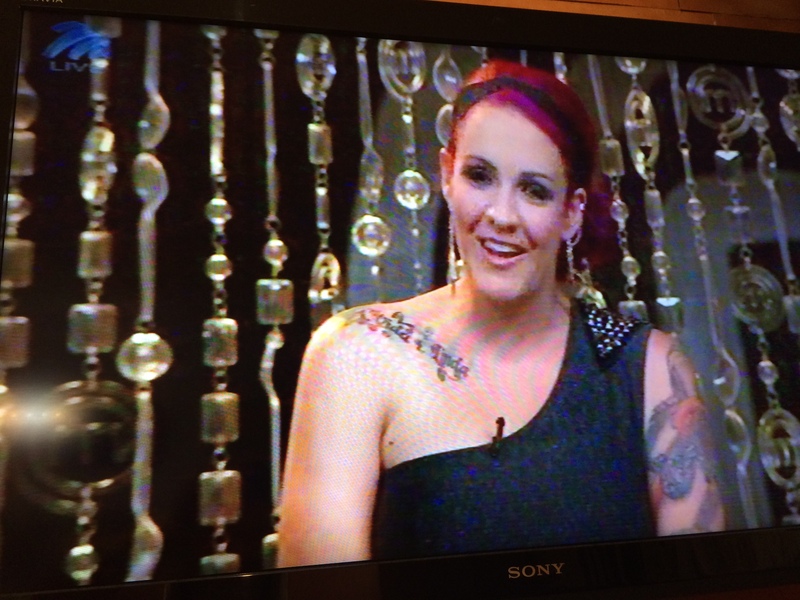 It also demonstrated to the Finalists that the outcome of a dessert can be influenced by the type of sugar one uses. 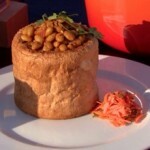 Ian Young was impressed by the plating, ‘because it was very precise and very organised. And you can see that a pastry chef has got a calmness about them that is very systematic. What she put on the plate was beautiful‘. 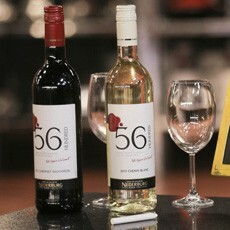 MasterChef SA Season 3 episode 10: Sommeliers judge Tapas and Nederburg 56Hundred pairings! 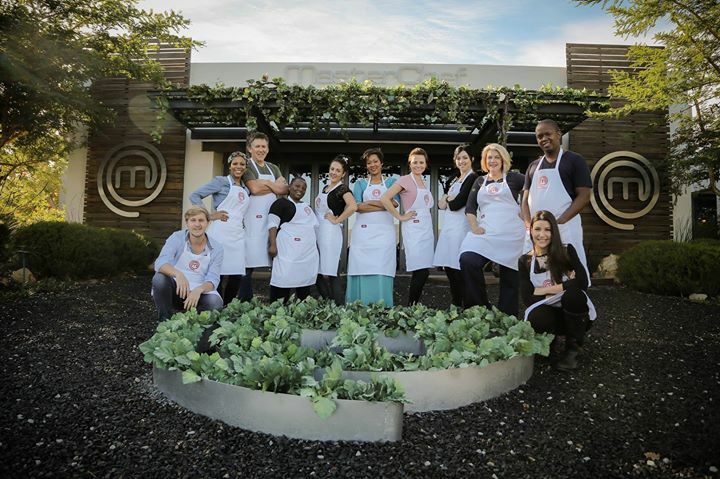 In MasterChef SA episode 10 last night five top South African sommeliers were invited to evaluate the pairing of two Tapas dishes of each of four teams with two Nederburg wines. The Red Team won the challenge, winning a Secret Reward (it looks like it could be lunch at The Pot Luck Club), while the Blue Team had the lowest score, and will go into an Elimination Test in episode 11. 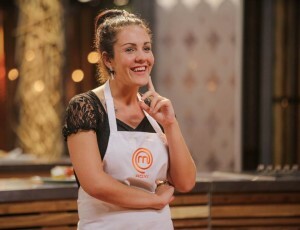 MasterChef SA Season 3 episode 9: Chicken MasterPiece Invention Test boring, Claire Allen chickens out! 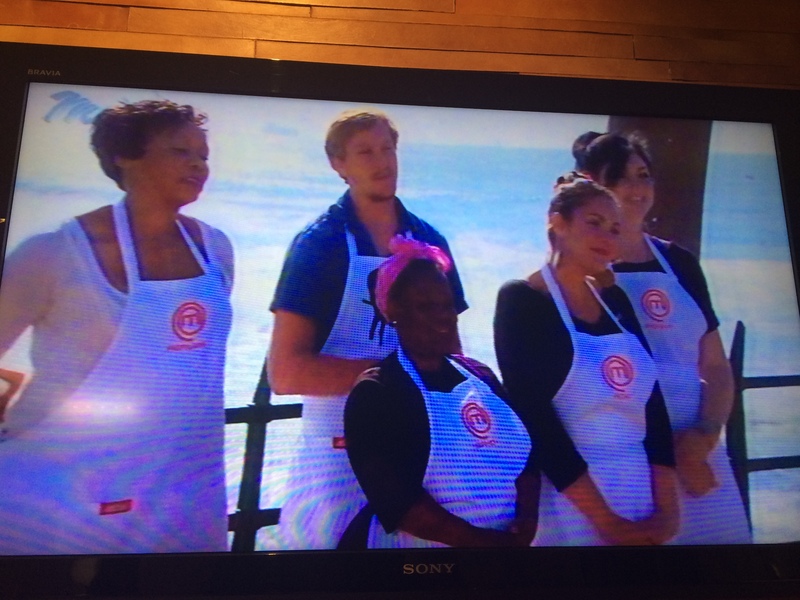 Last night MasterChef SA continued with more boring viewing, the simple task of the Invention Test being to make a MasterChef Chicken MasterPiece, using the whole chicken, including the giblets! It was surprising how poorly this challenge was executed. 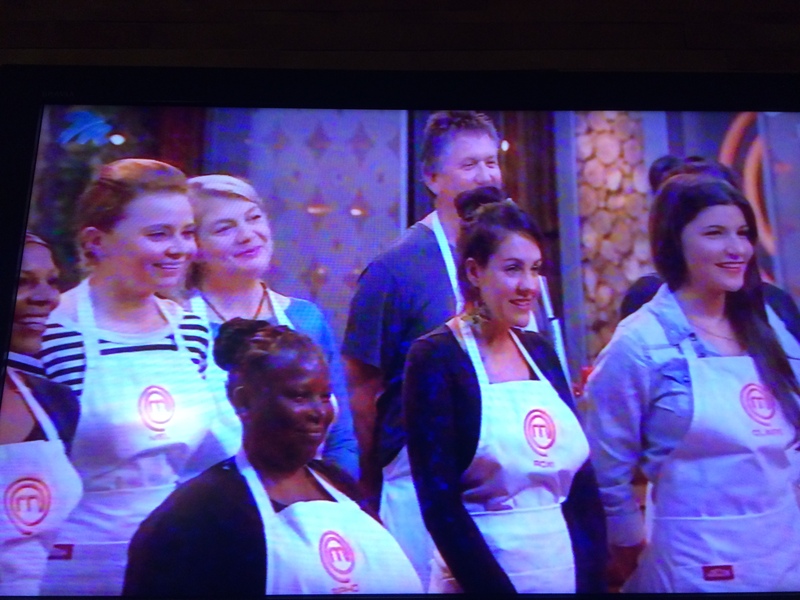 Penny Fitchet won the Invention Test with her Coq au Vin, while Claire Allen was sent home. 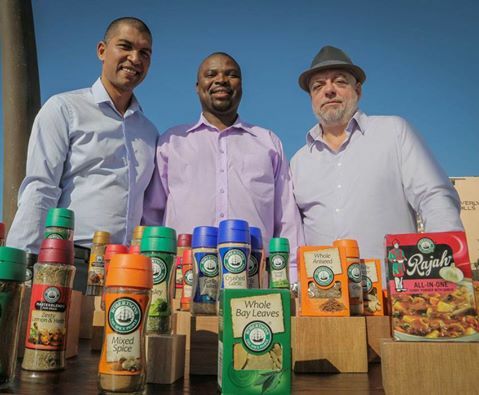 It was shocking to see how casually Reuben Robertsons Riffel was dressed, with a crumpled pair of slacks and a round neck jersey, while his colleague judges Pete Goffe-Wood and Benny Masekwameng looked smartly dressed and professional! 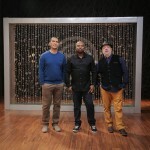 Riffel was filmed with his hands in his pants pockets too! Shocking was the spelling errors in the M-Net media release! 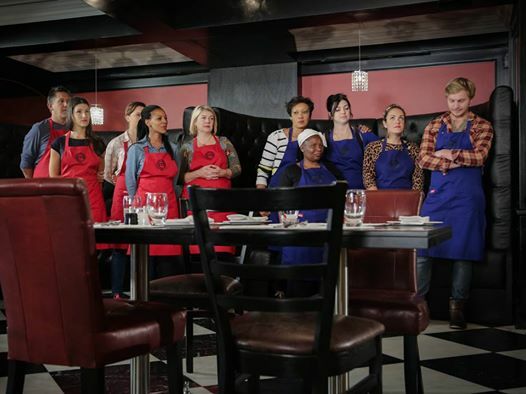 MasterChef SA Season 3 episode 7: Service and food preparation judged in Durban in boring Team Challenge! Last night’s episode 7 of MasterChef SA was a Team Challenge, the ten remaining contestants divided into two groups of five, the Red team led by Philippa Robinson and the Blue Team by Penny Fitchet. 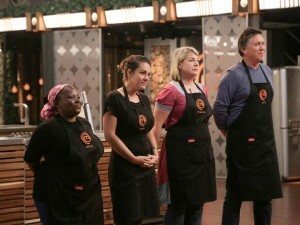 It was the most boring episode ever in the three seasons of MasterChef SA. 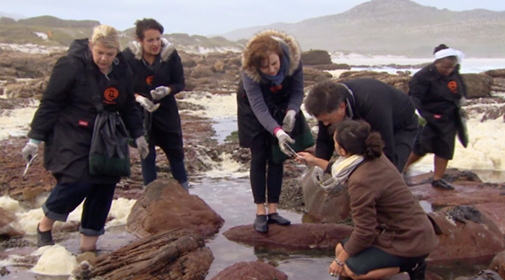 The ten contestants were flown to Durban (very wasteful, as the Team Challenge could just as easily have been done at Tsogo Sun hotels in Cape Town). The contestant teams were seen walking along the Golden Mile, with many tourist hotels. 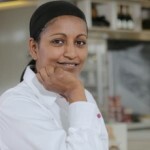 They arrived at the Southern Sun Elangeni & Maharani Hotel, having to cook in their The Grill Jichana restaurant kitchen. 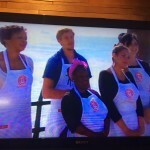 The hotel serves the largest number of guests of all hotels in the country, Chef Benny Masekwameng told the contestants. 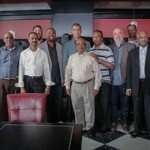 The judges of their meal were invited guests, being the most long-standing waiters at the hotel, as well as at some other restaurants, their collective experience exceeding 400 years, with a consultant who does staff training. Some of the waiter guests had served Queen Elizabeth and other members of the Royal Family. Each team had to choose the best person to prepare the meat, fish, the chips, onion rings and sides, to manage the pass, to play waitress, and to prepare the sauces at the table, using a Flambé and Gueridon trolley, with a gas hob, chopping board, and cutlery drawer. MasterChef SA Season 3 episode 6: Meeting ‘Karoo Kitchen’ writer Syddah Essop; Ndumiso Mncwabe fired out of Pressure Test! 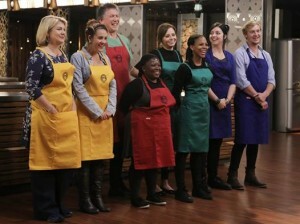 Last night’s MasterChef consisted of two parts – a happy team of eight Finalists driven to the home in the Karoo of cookbook writer Syddah Essop, and a nervous looking team of three Finalists who had to cook in the Pressure Test without electricity, which saw Ndumiso Mncwabe leaving the MasterChef SA kitchen.